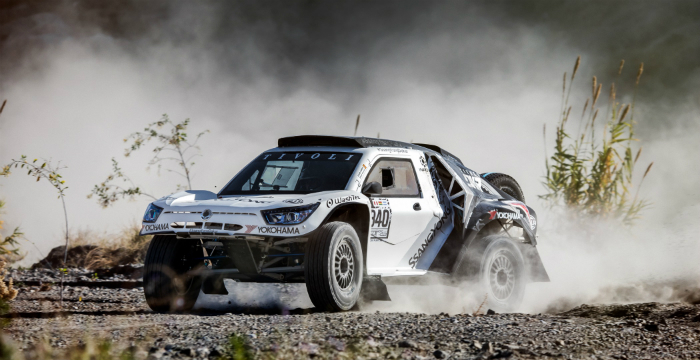 Yokohama has recently announced that its M/T G003 tires will be used on the SsangYong Motorsport Tivoli DKR vehicle in the 2018 Dakar Rally, due to start early next month. The team has announced Óscar Fuertes and Diego Vallejo as drivers of the new SsangYong Tivoli DKR – a V8-powered, RWD buggy. The 40th edition of the Dakar Rally begins in Lima, Peru and will go through Bolivia and end up in Córdoba, Argentina covering approximately 5,592-miles over 14 stages.